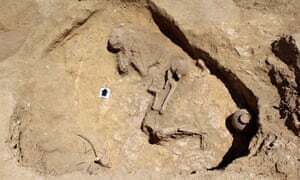 The team also found buried warriors, with each skeleton wearing large iron bangles. They may have been killed in nearby battlefields. . . . .
“Each year, millions of visitors flock to Angkor Wat, an ancient temple in modern-day Cambodia. There, they marvel at the 900-year-old towers, a giant moat and the shallow relief sculptures of Hindu gods. But what they can’t see are 200 hidden paintings on the temple walls. New, digitally enhanced images reveal detailed murals at Angkor Wat showing elephants, deities, boats, orchestral ensembles and people riding horses — all invisible to the naked eye. Many of the faded markings could be graffiti left behind by pilgrims after Angkor Wat was abandoned in the 15th century. But the more elaborate paintings may be relics of the earliest attempts to restore the temple, researchers said. “Journalist Vincent Noce reports in the French newspaper, Liberation, that a Rembrandt painting stolen in 1999 has been recovered in Nice (“Un Rembrandt volé en 1999 e été retrouvé à nice, 19 March 2014) although the thieves may have discovered the work was not by the ‘genius from Amsterdam’. 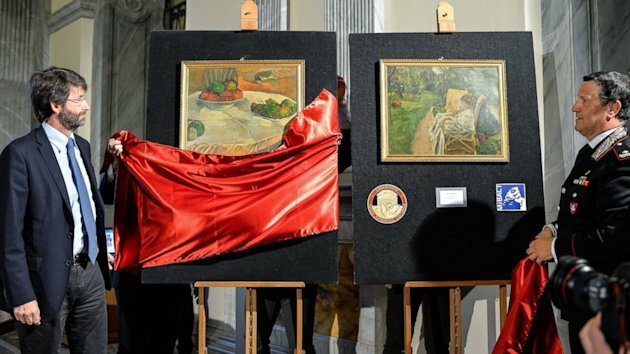 Noce reported that Tuesday afternoon French police from the unit assigned to fighting trafficking in cultural goods (OCBC) arrested two men (ages 44 and 51 years old) for trying to sell a painting stolen 15 years ago from the municipal museum in Draguignan in southeastern France. The oil painting, measuring 60 cm by 50, is attributed to Rembrandt and known as “Child with a Soap Bubble”. According to Noce’s article, the recovered painting has an estimated value of 4 million euros (U.S. $5.56 million) — if it is indeed by the Dutch master and not by an artist inspired by Rembrandt. According to the article, the museum’s inventory shows that the painting was taken from the Château de Valbelle [now in ruins] in Tourves during the revolution in 1794. With the seemingly constant discovery of new artwork looted by the Nazis and lost to time, it is important for the original owners to keep their eyes out for their pieces. As such, the German government, via the Koordinierungsstelle Magdeburg – Germany’s main office for recording lost/stolen cultural resources, has just set up a new website to record these losses. (And can I just say I love a language that has 20 letters in a word). The Lost Art Internet Database was set up to carefully record/photograph/register all the pieces of cultural property that were looted during WWII. The are two parts to the database: the “Search Requests” and the “Found-Objects Report.” The Search Requests is a place where “public institutions or private individuals or institutions” who lost their cultural property because of the “National Socialist rule” or WWII can post a search request on the website. The website will publish this as a world-wide request that people keep an eye out for your property. The Found-Objects Report is where cultural art/artifacts are listed when it is verified (or where the lack of knowledge about their history suggests) that they are stolen property. You can go here and skim through the lists to see if your art/cultural piece is on the list. Apparently the website was so popular, it’s actually crashed a couple of times due to the vast numbers trying to get on. 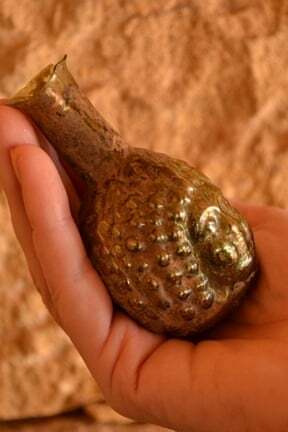 (1) Do you remember the cultural pieces discovered in Munich recently? Well that’s what triggered the new interest in the site, as the government is posting photos and details of the works in hopes that people who recognize and claim them. As of the 11th, 25 paintings were listed, and as many as 590 more could be added from that collection over time. Apparently the US State Department (why them, I’m not sure) is urging Germany to “publish the list of works, eliminate the country’s 30-year statute of limitations on stolen art and establish a formal claims process for victims to recover their works.” (2) At least the first part is done; now we’ll see what happens to the second half of that request. Germany has said that it will arrange a task force with “at least six researchers specializing in [sic] tracing the ownership of artworks.” (3) Hopefully, careful organization will ensure that these works find their way into the right hands. Please note that it seems that the website has undergone quite a bit of change recently. A lot of stuff that used to be there isn’t anymore (they might be re-adding it over time). If you are interested, you can plug in the URL to the WayBack Machine” and find earlier versions of the site. Note-worthy is the lack of “Publications” on the new site, as well as a more complex layout. Luckily, there’s been an English version of the site for a while! So if you are interested in more than the recent publication of the Munich items, then the older version might be worth checking out. Spiegel Online – this is a list of the 25 works already published.